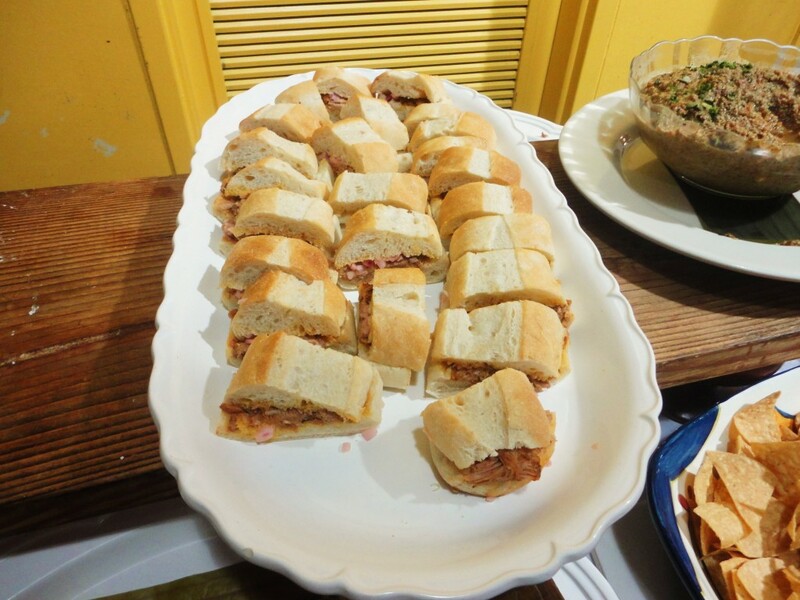 On Wednesday night, LatinoFoodie ventured into Mercado la Paloma, which is south of downtown Los Angeles, where a short, stoutly chef sitting behind a table with a stack of cookbooks proudly signed his name one by one. He took a break just long enough to pose for a photo with customers. Jumping up from the book-signing table, he’d disappear into the kitchen emerging seconds later with samples of food to share with his guests who filled the room with hungry appetites. It was a night of celebration for Chichén Itzá’s Chef Gilberto Cetina Sr., who has co-authored a new cookbook filled with recipes from his restaurant and native Yucatán. 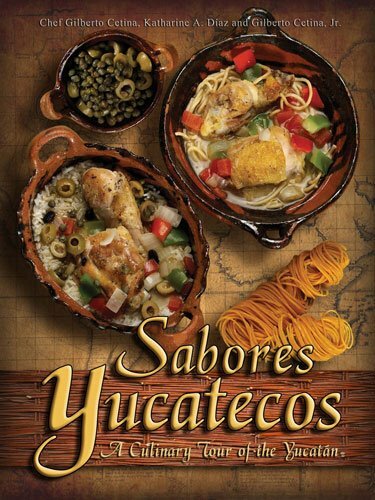 “Sabores Yucatecos: A Culinary Tour of the Yucatán” (WPR Books: Comida, 2012 and Amazon.com), is the first English-language cookbook on this regional cuisine ever written by a chef from the Yucatán peninsula. LatinoFoodie got our hands on a copy of the book and will be writing a cookbook review in a few weeks as well as a feature some of the recipes. 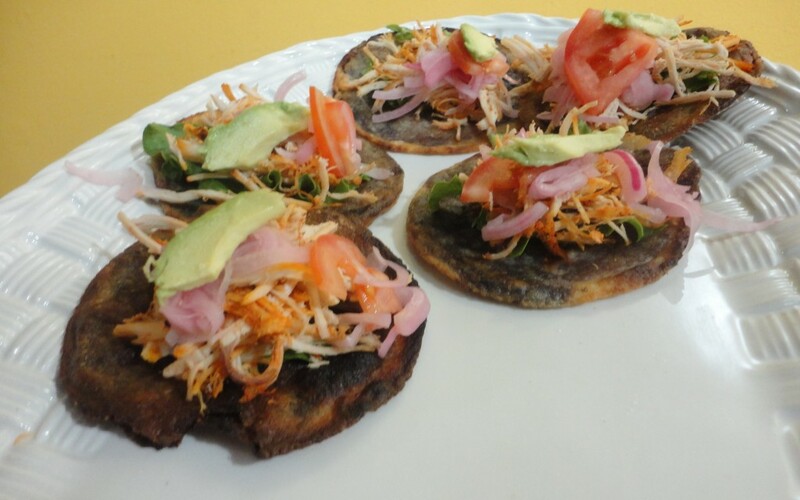 Panuchos -- homemade puffy corn tortillas stuffed with a creamy black bean paste. 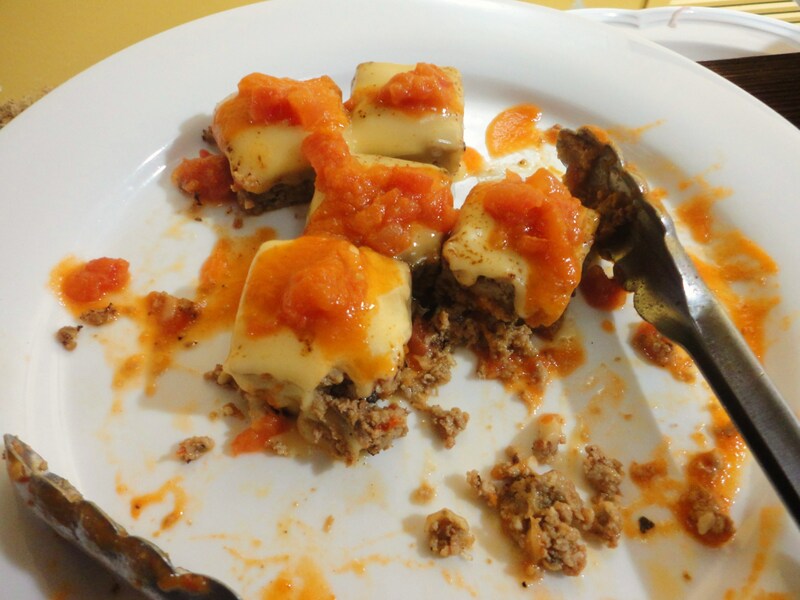 His restaurant, Chichén Itzá (3655 S. Grand Ave., Los Angeles, CA 90007), really needs no introductions as it has been featured in numerous publications, such as Los Angeles Times, LA Weekly, GQ, La Opinión, People, and most recently featured in Sunset magazine. 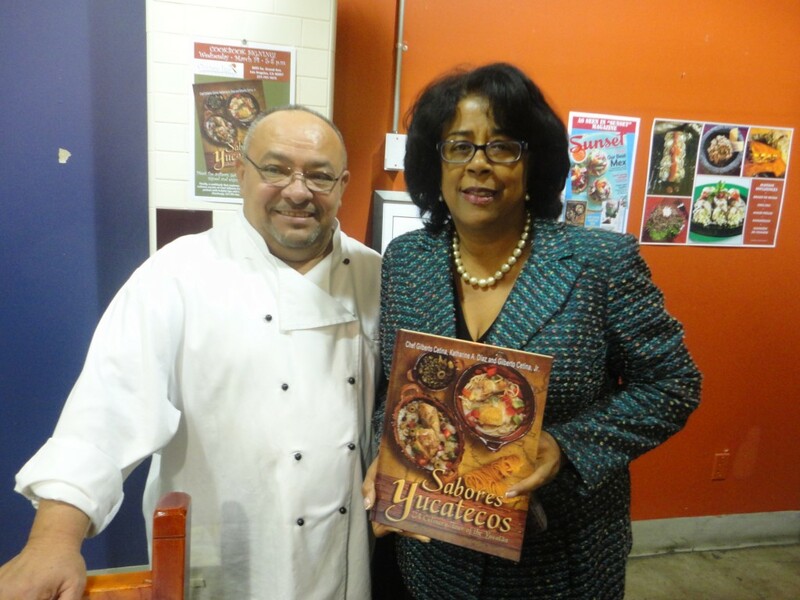 The book is co-authored by Katharine A. Díaz and Gilbert Cetina, Jr., who say the recipes were handed down from generation to generation, with many being written down for the first time. 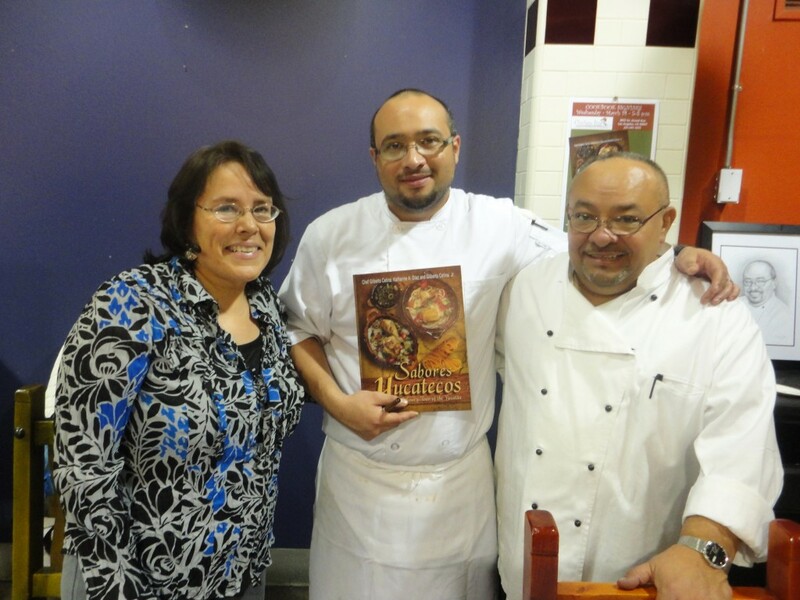 Katherine Diaz, Chef Gilberto Cetina, Jr., Chef Gilberto Cetina, Sr. Here are a few photos from the cook book signing.